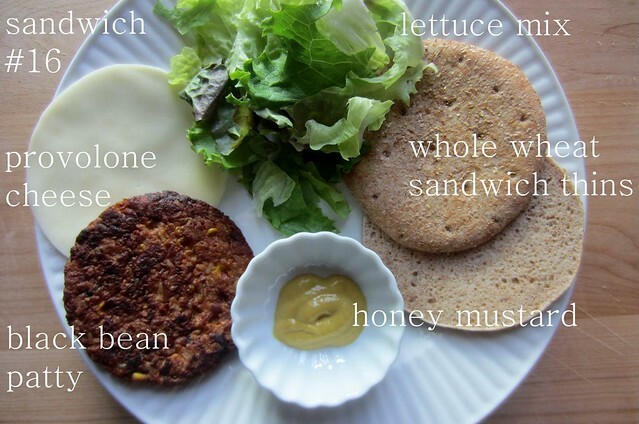 A Weight Watcher leader introduced me to black bean patties. She said she crumbled a patty into her salads for added flavor. It took me a while to try them, but I'm glad I did. 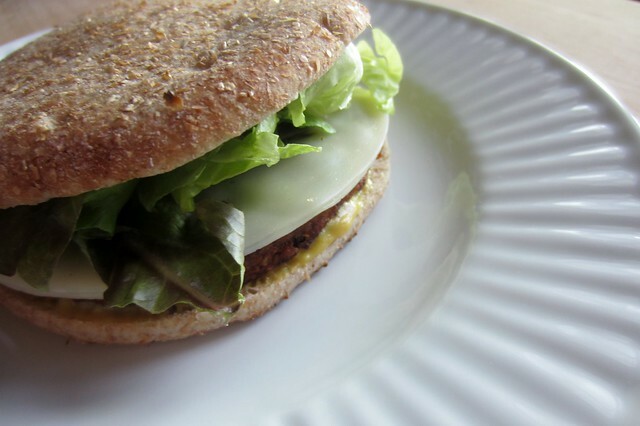 For this sandwich, I arranged a black bean (store-bought) patty, a slice of provolone cheese, lettuce mix, and honey mustard in whole wheat sandwich thins (I've been feeling this bread lately). If I had had more vegetables on hand, I would have added them, too. I think cucumber and tomatoes would have been just right. We've also added grilled pineapple slices and teriyaki sauce to our black bean sandwiches.